Clive Greensmith has held the position of principal cellist of the Royal Philharmonic Orchestra and was the cellist of the Tokyo String Quartet for fourteen years. Mr. Greensmith was the principal cellist of the Royal Philharmonic Orchestra, and was the cellist of the renowned Tokyo String Quartet for 15 years, from 1999 until 2013. As a member of the quartet, he gave more than 100 performances each year in the most prestigious international venues, including Carnegie Hall, Sydney Opera House, South Bank Centre in London, Théâtre du Châtelet in Paris, Berliner Philharmonie, Musikverein in Vienna, and Suntory Hall in Tokyo. Mr. Greensmith has collaborated with international artists, such as András Schiff, Pinchas Zukerman, Leon Fleisher, Lynn Harrell, Dmitry Sitkovetsky, Alicia de Larrocha, and Emanuel Ax. Mr. Greensmith has given guest performances at prominent festivals worldwide. In North America, he has performed at the Aspen Music Festival and School, Music at Menlo, Marlboro Music Festival, La Jolla SummerFest, Santa Fe Chamber Music Festival, and the Ravinia Festival. Internationally, he has appeared at the Salzburg Festival, Edinburgh International Festival, Pacific Music Festival in Japan, and the Hong Kong Arts Festival. As a soloist, Mr. Greensmith has performed with the London Symphony Orchestra, Royal Philharmonic Orchestra, Seoul Philharmonic Orchestra, and the RAI Orchestra of Rome, among others. During a career spanning over 25 years, Mr. Greensmith has built up a catalog of landmark recordings, most notably the Ludwig van Beethoven: The Complete String Quartets for Harmonia Mundi with the Tokyo String Quartet, Mozart’s “Prussian” Quartets with the Tokyo String Quartet, Brahmsʼs cello sonatas with Boris Berman for Biddulph Recordings, and clarinet trios by Beethoven and Brahms with Jon Nakamatsu and Jon Manasse for Harmonia Mundi. His recording of Schubert’s String Quintet in C Major with the Tokyo String Quartet was named an “outstanding” recording by the International Record Review. At the age of 20, Mr. Greensmith came to the music world’s attention during an internationally televised broadcast of a BBC master class series hosted by legendary cellist Paul Tortelier. Mr. Greensmith studied at the Royal Northern College of Music in England with American cellist Donald McCall, where he was the recipient of the prestigious Julius Isserlis Scholarship. 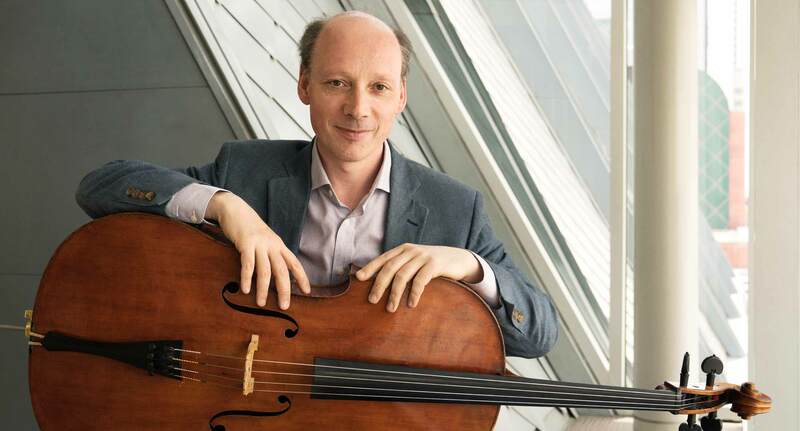 A Royal Society of Arts scholarship enabled him to continue his studies at the Musikhochschule Köln in Germany with Russian cellist Boris Pergamenschikow. In 1986, Mr. Greensmith made his concerto debut with the London Symphony Orchestra and went on to be the first-prize winner in the Sergio Lorenzi Chamber Music Competition in Trieste, Italy, and first-prize winner in the Caltanisetta Duo competition. Most notably, as a major prizewinner in the first-ever Premio Stradivari held in Cremona, Italy, in 1991, Mr. Greensmith was launched into a series of major recital and concerto appearances throughout Europe. Deeply committed to the mentoring and development of young musicians, Mr. Greensmith has enjoyed a long and distinguished teaching career. In addition to a 15-year residency with the Tokyo String Quartet at Yale University, Mr. Greensmith has served as a member of the faculty at the Yehudi Menuhin School, Royal Northern College of Music, the San Francisco Conservatory of Music, Manhattan School of Music, and New York University. In 2013, he was appointed Co-director of String Chamber Music Studies and Professor of Cello at the Colburn School. Students of Mr. Greensmith have gone on to secure major positions in orchestras throughout the world and have won a number of prestigious awards. In 2015, he was a jury member at the 2015 Carl Nielsen Chamber Music Competition in Copenhagen. Mr. Greensmith has had the privilege of playing three highly distinguished cellos during his career. As a young player in England, he was awarded use of the Royal Forster cello, owned by The Prince of Wales, which he played for five years. During his time in the Tokyo String Quartet, he played a remarkable Stradivarius 1736 Paganini Ladenburg cello, on loan from the Nippon Music Foundation. He currently plays on a Simone Sacconi cello made in Rome in 1933. Mr. Greensmith is a founding member of the Montrose Trio with pianist Jon Kimura Parker and violinist Martin Beaver.